We already knew Samsung’s latest flagship would eventually support wireless charging and a month after launch, it does. 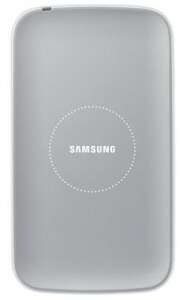 On Thursday, Samsung announced the availability of both a wireless charging pad and back cover for the Samsung Galaxy S 4. With the cover attached, the phone can rest on the plugged-in charging pad to top off the battery inside. For the complete wireless charging combo, you’ll need to ante up $90: the cover is $39.99 while the charging pad itself is another $49.99 outlay. 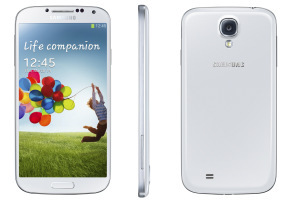 That might sound high, but the pad itself isn’t limited to the Galaxy S 4; the cover is, however. Since Samsung is using the Qi wireless power standard, any mobile device that also supports Qi can be recharged on the pad. That also means if you have a Qi charging pad already, you can just purchase the cover for your Galaxy S 4. That’s probably the best news of all here: Samsung isn’t using a proprietary wireless charging solution. There are a number of Qi covers for iPhones and other Android devices that can be used with this charging pad. Granted, the device isn’t truly wireless since the charging pad must be connected to a wall outlet, but it’s easy to pick up your phone and go when there are no wires attached to the handset. I bought this charging system and while it works great as a wireless charger I’ve had problems with tyring to find cases that fit with the new wireless backplate and the NFC capability just doesn’t work at all. NFC works fine with the old plasitc case. Anyone else have issues using NFC with this charging back plate? The other minor complaint it how expensive it is.